What's happening right now at Deveron Projects? What's happening right now at Deveron Projects? 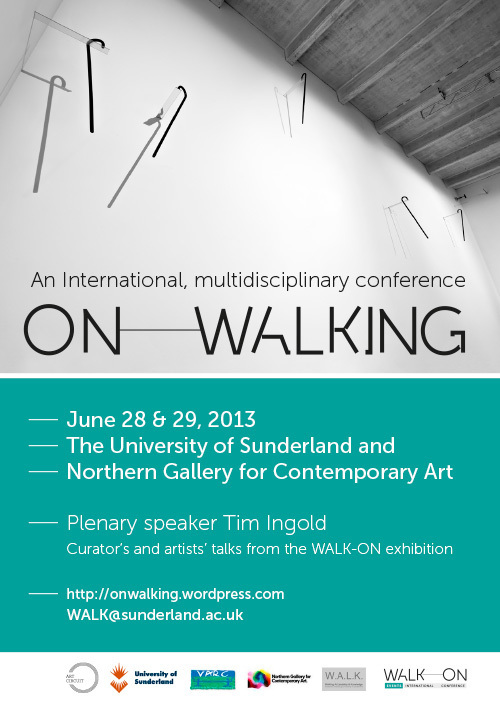 This two-day international conference, was held at the University of Sunderland on June 28-29 2013, and organised by the research group W.A.L.K. (www.WALK.uk.net) in association with WALK ON, an exhibition at the Northern Gallery of Contemporary Art, aims to provide a critical and discursive meeting-point for artists, writers, thinkers, and academics who are engaged in the study of walking, and to document the many diverse approaches to the study of walking.